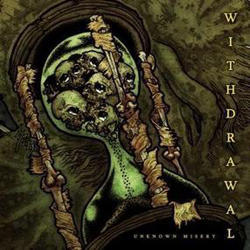 Trip Machine Laboratories - WITHDRAWAL - Unknown Misery 7"
WITHDRAWAL - Unknown Misery 7"
"Unknown Misery": a celebration of loss, paranoia and the uncertainty of life. 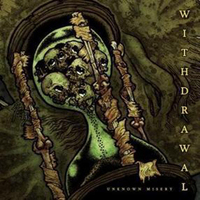 Withdrawal's debut 7" spans the broad spectrum between breakneck, thrash metal tempos and ominous, depressing funeral dirge. Taking influences, though not consciously stealing from Ringworm, All Out War, Catharsis and Slayer, Withdrawal pummels through 5 psalms of the Holy Terror Church. Contains a digital copy of the record. Artwork by Ryan Eyestone (Outbreak, Trash Talk, The Carrier).